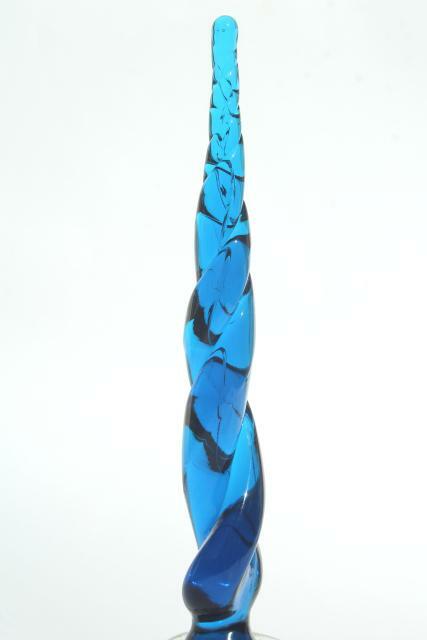 60s or 70s vintage tall twist art glass bottle stopper, for a genie bottle or big decanter. 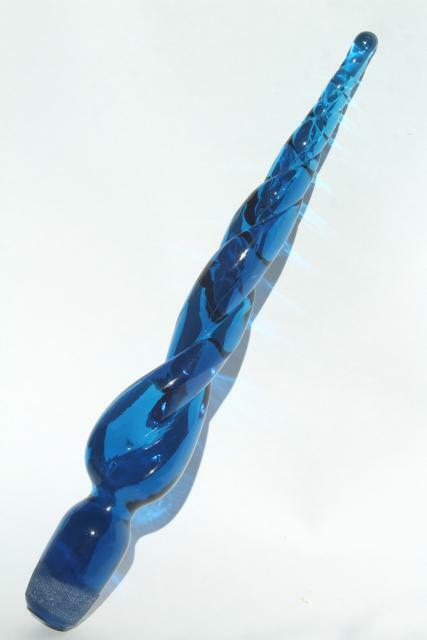 It's hand blown, hand formed glass. 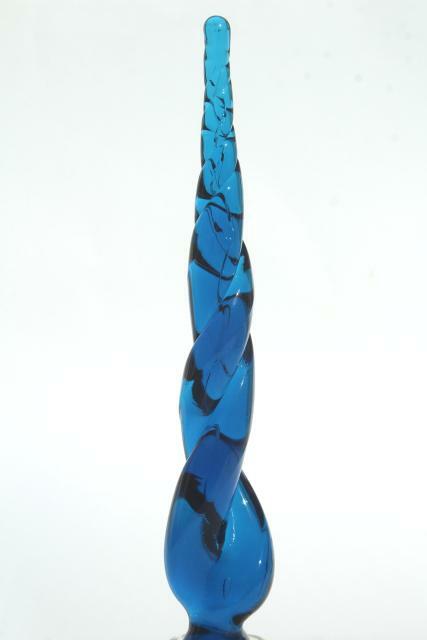 This shape looks like Blenko to us, but the color looks like Viking glass bluenique. 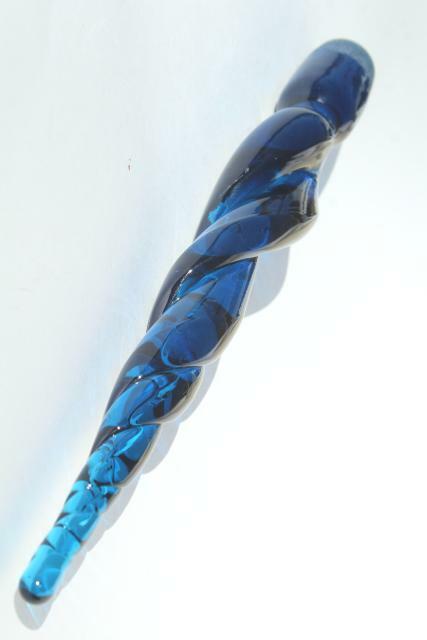 It's West Virginia glass for certain, just has that look and feel! It measures 11 3/4" long end to end, 1" or 1 1/8" at the ground fitter 'plug'. It's in excellent condition without damage.